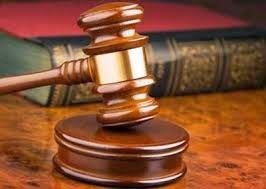 A Lagos High Court sitting in Ikeja Wednesday granted former Chevron accountant, Michael Adenuga, bail in the sum of N5 million. Adenuga is being tried by the Economic and Financial Crimes Commission, EFCC, over an alleged fraudulent conversion of a landed property worth N5 billion, Pm Newsreports. The EFCC alleged that Adenuga and his company, Covenant Apartment Ltd fraudulently converted a 22.68 hectares of land located in the Lekki area of Lagos, western Nigeria, which he jointly owned with a Switzerland company, to his personal use. The property is valued at N5 billion. The EFCC also alleged that the defendant forged a Lagos State land sales document alleging that the said land had been sold to him by the Swiss firm. The commission claimed that the defendant had tendered the document before its officials at its Lagos office with the intent to deceive them. Adenuga pleaded not guilty to the three-count charge when it was read to him in the open court. Moving his bail application Wednesday, Adenuga’s lawyer, Mr Ehis Agboga prayed the court to grant his client bail in liberal terms. He argued that his client has never been convicted of any crime in the past and that since the matter was being investigated by the EFCC, he had always reported before the commission’s office in Lagos. Ehis noted that the offence for which his client was being charged is bailable and that the court has discretion to grant him bail. EFCC Counsel, Jamiu Musa, however, opposed the application arguing that the defendant may not attend his trial if granted bail. Presiding Judge, Justice Sedoten Ogunsanya, however, overruled the EFCC counsel’s position and granted the defendant bail in the sum of N5 million with two sureties. The judge directed that the two sureties must be resident in Lagos with proof of three-year tax payment. The judge further ordered the defendant to deposit his international passport with the Chief Registrar of the court.